A new legacy release from Sony. This time they have released a 3 CD deluxe edition focusing on the Stax recordings from July and December 1973. While these sessions all have been decently presented on the Follow That Dream label, see Raised On Rock, Good Times and Promised Land, this new package from Sony actually gives us something new! Ok, there are no new outtakes here. But you will find a lot more studio banter and even more complete takes. However, the most interesting thing is that the tracks have been re-mixed en re-mastered from scratch! And with a noticeable result, indeed! In general you could say that all instruments and back-up vocals are now audible, and it sounds like every channels on the master recording have been respectfully treated by the engineers. The output volume is high, even though it is not compressed! Common for all tracks - as far as I can tell - is also that the drums have been lowered in the sound picture and many times also Elvis' vocal. The sound is "open" and "wet", where Follow That Dream chose a more narrow and dry approach. On some songs it really is a delight to listen to, while on other tracks it just gets to messy. So it is not all for the best. However, I really support the idea and respect that Sony went this route. Hopefully it will be accomplished also on other Elvis albums. I believe that the Jungle Room session could benefit hugely with the same treatment. More studio banter before take 1 of 'I Got A Feelin' In My Body', take 8 of 'Good Times Charlie Got The Blues' and take 8 of 'She Wears My Ring'. Take 14 of 'Three Corn Patches' runs to the very end and up to master take 15. I have uploaded some samples to illustrate the difference in sound from this new Elvis At Stax release compared to the FTD counterparts. They are as follows. - If That Isn't Love (take 1). 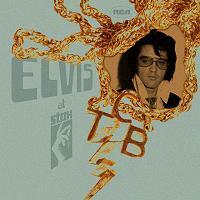 (Good Times (FTD) / Elvis At Stax) - Listen out for the organ not heard before. - Girl Of Mine (take 9). (Raised On Rock (FTD) / Elvis At Stax) - Generally better fidelity. - Promised Land (take 5). (Promised Land (FTD) / Elvis At Stax) - Sounds like a different take. - I Got A Feelin' In My Body (take 1). (Good Times (FTD) / Elvis At Stax / Essential Elvis 5) - When compared to the brilliant mix by Dennis Ferrante as found on Essential Elvis Vol. 5, it is easy to conclude that sometimes less is really more. The mix found on Elvis At Stax (and the FTD version of Good Times) is really a total mess, mostly because it includes too much of what happened in the studio. Listening to this new mix compared to the one by Dennis Ferrante it is not easy to spot that it is the same recording. The masters have also been re-mastered again (though not re-mixed). I think they come out a little bit too echoey here, and would really have liked that also these takes had been re-mixed from scratch. Some of these old mixes stick out like a sore thumb when compared to the newly treated outtakes as found on CD-1 and the start of CD-2. That aside, this is a decent release by Sony. Hopefully an approach like this will be repeated with other studio sessions.